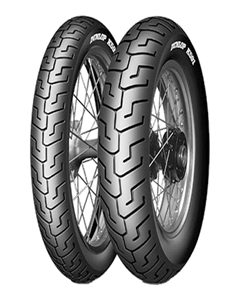 The Dunlop K591 is the only tyre Harley Davidson trust to go on their sports bikes. That’s why the K591 is the only tyre approved by Harley for their sports models, simple. Developed from the K591 racing tyre to give outstanding grip whether it’s wet or dry the K591 street tyre will inspire confidence in cornering and impress with excellent tread life. Its unique tread pattern ensures minimal stepping as the tyre wears out.